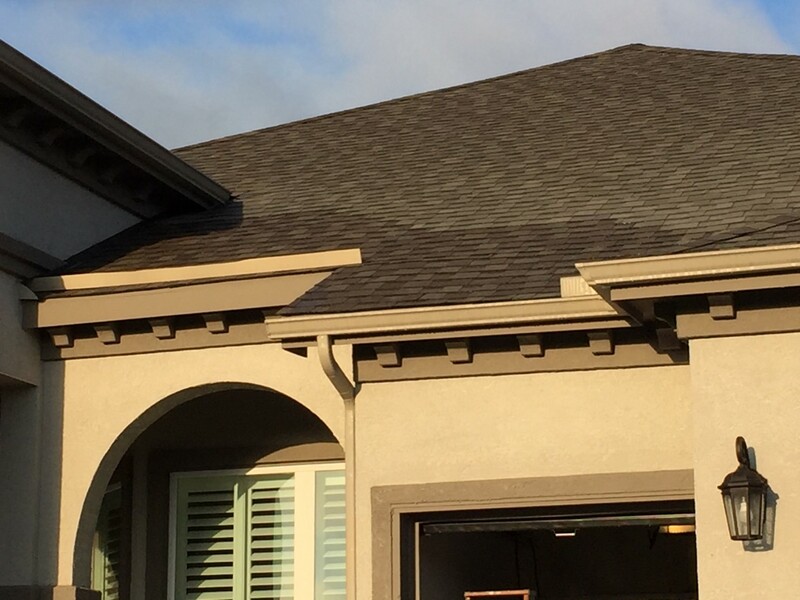 The builder replaced a section of shingles on a new house because the inspector found paint on the shingles. 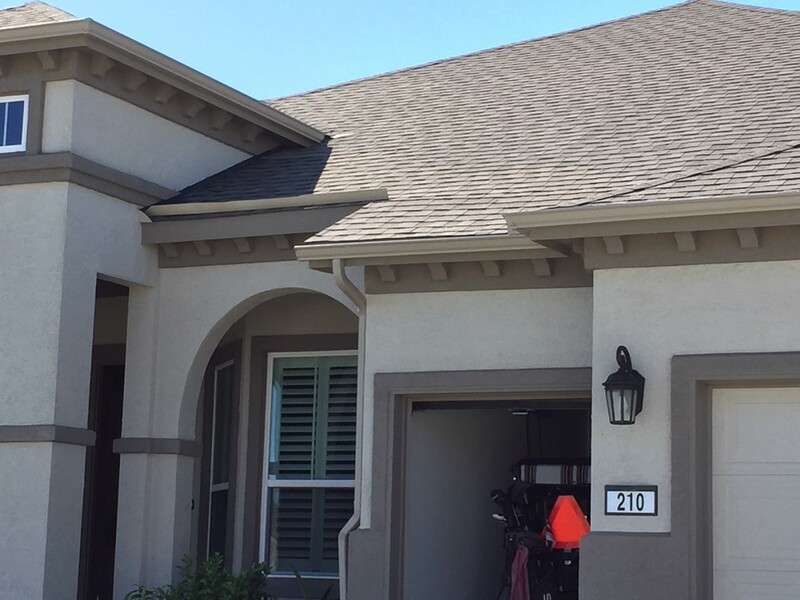 The section of replacement shingles are different in color due to the difference in aging according to the builder and roofer. In the pictures below, which were taken on the same day. Question - why do the replacement shingles remain much darker than the originals after they are exposed to moisture? The bottom picture shows what they look like in the morning after some drying - see the much darker section of shingles; those are the replacements. The top picture shows the same section of roof in the later that afternoon - the new shingles are nearly the same color as the originals. This happens after a rain too, or if I hose down the roof when dry. Can this be explained by the difference in age as the builder says, or is there a problem since the color difference is only this great after the shingles get moisture? If it is an issue, what installation issue(s) could cause it? Bump - any roofing experts out there with some insight on this?